At time I find this rule for design to be the hardest. You might as well. A good designer pays very close attention to alignment. Boiled down, alignment means that nothing is arranged on the page without thought and every single item needs to be visually connected with something else on the page. Good design is intentional and alignment is the one area where designer have to pay careful attention. Here’s where most people miss it. This was the hardest thing for me to overcome and is still sometimes a challenge. I’ll say it gently. RESIST THE URGE TO CENTER! You know what I’m talking about. 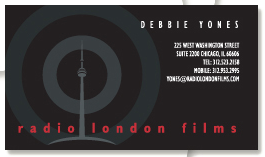 We design that flyer or program insert and what do we do with the title? We center it. DON’T. NEVER AGAIN! Sorry I had to yell, but it really is one of the hardest habits to break. There is a place for aligning in the center, but usually reserved for pieces that are more formal, like wedding announcements or things of that nature. Most of the time what you’re designing for isn’t that formal, so don’t design that way. When item on a page are aligned, even if they are far away, it brings the page together as one cohesive piece. Text aligned either on the right or the left creates a strong vertical edge, and invisible line that connects the elements. I’ve included a few examples below, but just look around you. Open up a magazine and see how alignment is used by professional designers. Here’s a great illustration of alignment and contrast working together. The designer aligned both the right and left ends of the text, but the company name is only aligned on the right causing it to really pop, which is what they want you to notice. 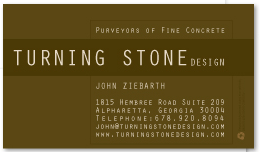 If you’re not used to it, it feels uncomfortable aligning to the right, but see how nice it looks on this business card. Here’s a whole brand set of stationary, business cards and such. 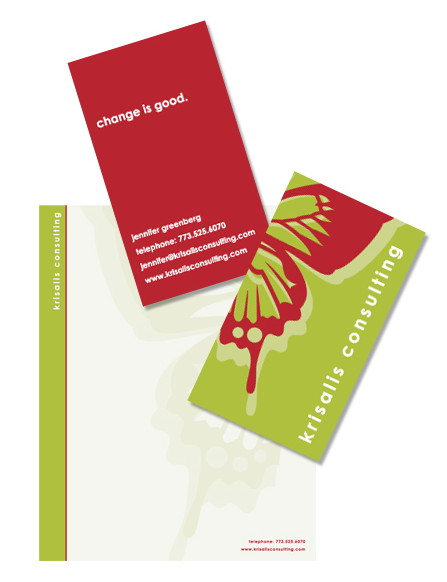 In the red business card, see how even though the “change is good” phrase is well separated from the contact information, the left alignments pulls it all together.